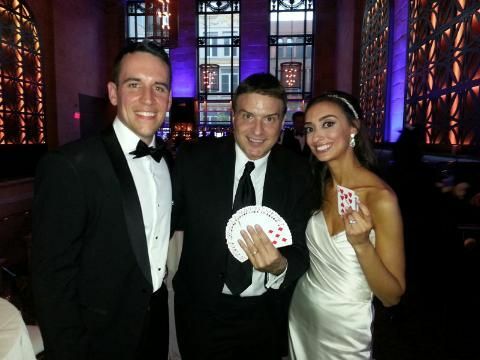 Magician, Mentalism, & Comedic Magic for Weddings & Proposals in NYC & surrounding areas. Chris Anthony is AWESOME! We had the pleasure of having Chris perform during cocktail hour on our wedding day! Our guests absolutely loved his magic and couldn’t get over his performances. 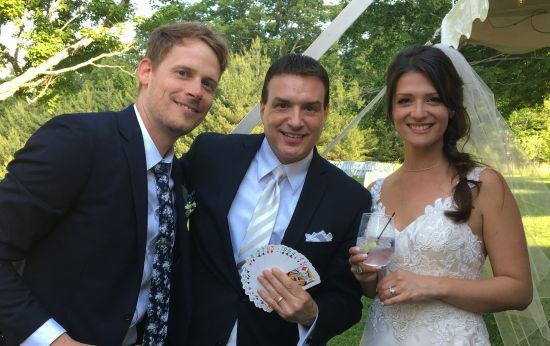 He also performed some pretty amazing magic for my husband and I privately while waiting for the reception to begin. We honestly couldn’t believe our eyes and will never forget Chris in making our day that much more special! You will not regret having Chris at your next event! Thank you Chris Anthony!!! You are amazing! Chris was FABULOUS!! One of the best decisions we made for our wedding!! I'm so glad he was willing to come to our location. We have had so many folks tell us how much fun it was and how entertaining he was! Thank you so much Chris!! Will definitely ask you to come to ALL our events! Best always, Diana and Brian! Chris was exactly the person we had expected and hoped for as the focal point of our wedding reception entertainment. 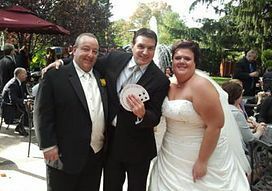 Not only was the bride and groom totally thrilled and entertained by his magic but also all of the guests who saw him. I asked everyone what they thought and every single person was blown away by his card and various other magic tricks. Chris was there before the event and stayed after his time to the delight of my guests. His professional skills and mingling style were great entertainment to enhance our cocktail hour and reception as a whole. Thank you Chris!! Tom Jones (Father of the Bride) Jesse & Whitney's Wedding McLoone's Pier House Long Branch, N.J.
Chris Anthony was absolutely amazing!!! 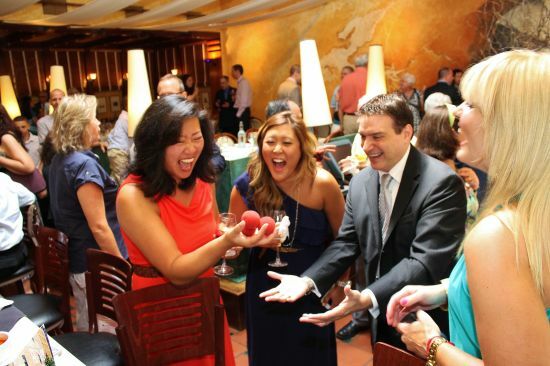 Our guests are still raving about the outrageous tricks that he performed during our cocktail hour. He even came to our bridal suite and performed for myself and my husband. We were so blown away by his performance, my husband is still trying to figure out how he got a dollar bill under his watch. He was truly the icing on the cake for our wedding. We highly recommend him to any event that you have, he's d...efinitely a crowd pleaser!!! Thanks again Chris for making our wedding day that much better!! Dana Boothroyd Frank & Dana's Wedding Jericho Terrace Mineola, N.Y. Absolutely Amazing!!! Chris is an amazing magician. Not only is his magic impressive, he has a remarkable personality that really captures his audience. We had the pleasure of having him at our wedding to perform for all our guests. Everyone had nothing but wonderfully positive things to say about Chris and his magic while he entertained them during the wedding. We really appreciate his talent, expertise and energy! For us, it was a perfect day and Chris being a part of it made it all that much better. I would recommend him to anyone and everyone who enjoys fabulous entertainment! 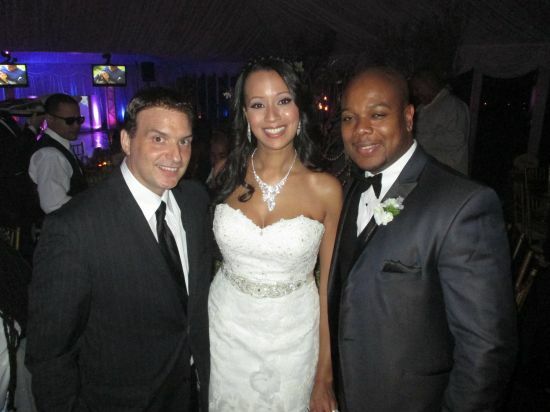 We hired Chris Anthony to perform at our Wedding, and he was a great addition to our wedding's success. We first saw Chris at another event and just knew that we had to have him at our wedding. We were thrilled that he was available. Our Family and friends were truly entertained, and enjoyed your performance. Everyone was left scratching their heads, wondering " How did he do that?" Chris is a true professional and a gentleman, and it was a pleasure having him be a part of our special day. We can't wait to have another event, so we can have him back again. Joe and I cannot Thank You enough for the wonderful performance you made at our cocktail hour. You were such a special part of our wedding that to this day we have friends and family still talking about what a great touch you added to our special day. Your magic is so unbelievable that it completely freaked us out, in a good way of course. Again, our greatest appreciation to you, and you will definitely be hearing from us again. We will definitely be recommending you to everyone. Chris Anthony is a true professional. Chris performed during cocktail hour at my wedding reception and was the talk of the wedding. His street magic is top notch. He always involved the guests in his tricks and was able to manage the incredible amount of personalities with class and grace. 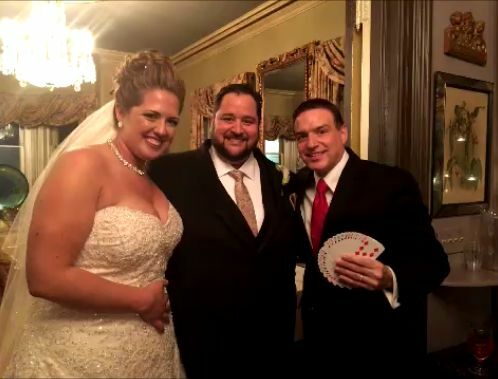 I would absolutely recommend Chris Anthony because you will not only get an amazing magician, but you will get somebody who will communicate and accommodate your requests. He treats you with such class and dignity and you can see that he truly cares that your event will be special. Chris, you are awesome. Thanks for helping make our day great!!! Chris Anthony is Amazing!!! I have seen Chris Anthony perform three times and have been impressed each time. First, we interviewed him for a client's wedding. We were happy to see that he was pr...ofessional, friendly and highly talented. Even our skeptical groom loved his amazing tricks. Of course, we hired him for their September 2013 wedding. There we saw him entertain over 100 guests successfully. The room was filled with laughter and incredulous faces. Most importantly, the bride and groom were very happy they hired him and enjoyed the special tricks he prepared for them. My event planning partner and I also loved the performance and hired him for our team appreciation dinner. Once again, everyone was blown away by Chris Anthony. I have now seen him three times and can't wait to see him again!
. AMAZING! We hired Chris to perform up close magic at our wedding for our guests, and boy did he deliver. Our wedding took place in Philadelphia, and despite the distance for Chris, he was extremely flexible, timely and well prepared. When we first decided we wanted to have a magician come in, we spent a lot of time researching, reading reviews, watching videos and actually meeting a few in person. However, when I found Chris' website and watched a few of his videos, I knew he would be the perfect fit our guests. While we didn't have a chance to meet before the day of the wedding, Chris was always available by phone/email if I had any questions. 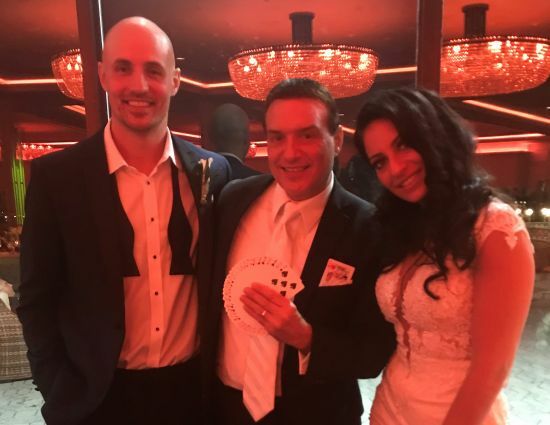 On top of looking for someone who was a skilled magician, we wanted someone with an engaging personality who could interact and joke around with the guests and Chris really delivered on that as well. We didn't know we were getting a comedian on top of a skilled magician! We originally booked Chris just for the cocktail hour, then a week before asked he if would stay for an additional two hours after the cocktail hour (during dinner/dessert) and by the end of the night we had him stay an additional hour on top of that b/c everybody was raving about him. As for the magic, it was top notch and the variety was absolutely amazing. We had a big breakfast the morning after the reception and it seemed like every person we talked to had a different trick performed on them, and all were equally dumbfounded by how he did each one. He even had a few special tricks that were personalized for the bride and groom. For anyone looking for something fun/unique at a wedding (or any event for that matter), look no further than Chris Anthony. He made our night even more magical, and it's something that our friends and family will be talking about for years to come. Thanks Chris! Chris was very professional. He showed up half hour before start time. My guests raved about his magic. He was very entertaining and I saw things that I never thought I would see. It was a perfect touch to my wedding cocktail hour. 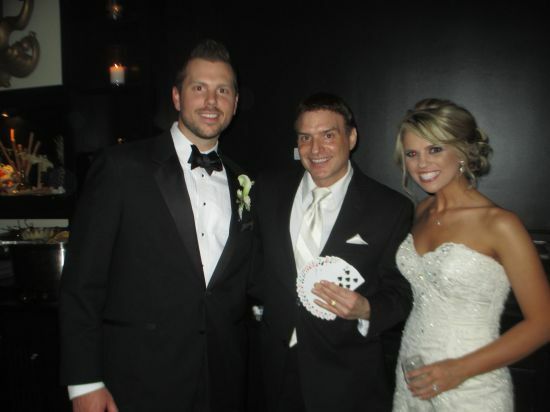 He even performed special customized magic tricks for my bridal party and I. We were all blown away. He has charm and knows how to put on a great show. I would definitely hire him again for future events and I highly recommend him. Still trying to figure out how he managed to have my name and my new husband's name on the dollar bill. We hired Chris Anthony to perform during cocktail hour at our wedding in June 2015 and he was nothing short of fantastic. Not only did he arrive early but he stayed a little after the agreed upon time to make sure everyone got to see him at least once. We were very impressed by his professionalism and of course his magic was extraordinary! Everyone we spoke with offered nothing but positive reviews. The tricks were up close and varied from person to person so no one saw the exact same illusion twice. Chris even provided us with personalized tricks for the bride and groom. 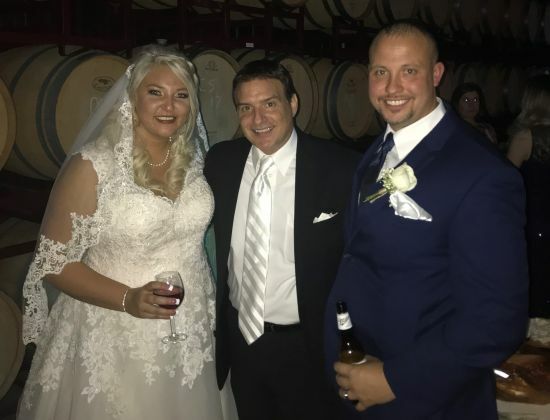 Everyone agreed that he provided a fun and wonderful start to the wedding reception and added that little something to create a unique and memorable experience. We would highly recommend Chris for any function as he kept us all entertained and bewildered by his magical abilities! Chris was an awesome addition to our cocktail hour. Our guests were Very impressed by Chris. Mark and I were so happy to have him perform for us. We would recommend him to any couple looking for a little something extra to entertain during a wedding. If you are thinking about it don't look any further, Chris is the guy for the job. Chris Anthony was the life of the party!!! 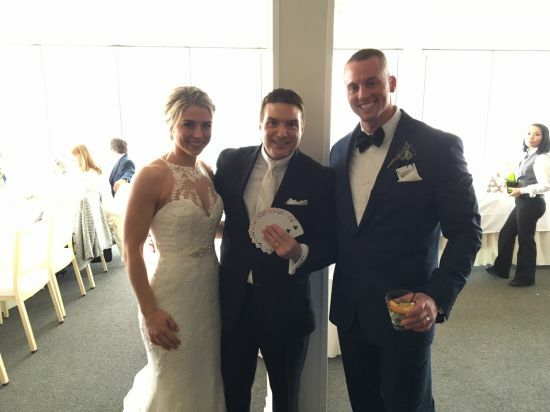 Our guests could not stop talking about our "fabulous magician." We are so thrilled that we asked him to perform at our wedding!!! He had the crowd mesmerized! He even found a way to incorporate my husband and I into his act. He was AMAZING!!!!!! Perfect Experience! We are fans of Chris for a long time so it seemed only fitting for us to hire him for the cocktail hour at our wedding. 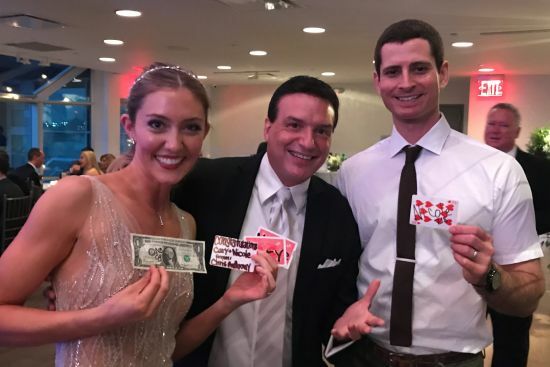 We didn't tell our guests to they were surprised to find out that he wasn't just a guest but an AMAZINGLY talented magician. Chris mingled amongst our guests and performed amazing, slight of hand tricks. Our guests still talk about "that crazy awesome magician". I've seen a bunch of his performances and I'm amazed every...single...time... 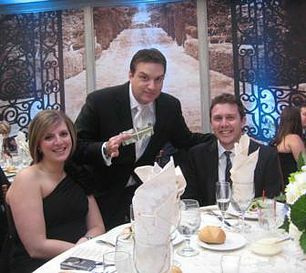 If you are looking for a very talented, very funny, very friendly, very affordable magician...hire CHRIS! He's the best. Awsome magician on a magical night. Chris by far, with of course the exclusion of the bride was the most enjoyed part of our celebration. From all the grandparents and elders of our families to the youngest of our guest and family members, Chris was the topic of discussion and awe. His magic show was a great addition to our wedding and is still remembered with a smile. Chris is a consummate professional and I would highly recommend Chris and his performance to anyone looking for the best. 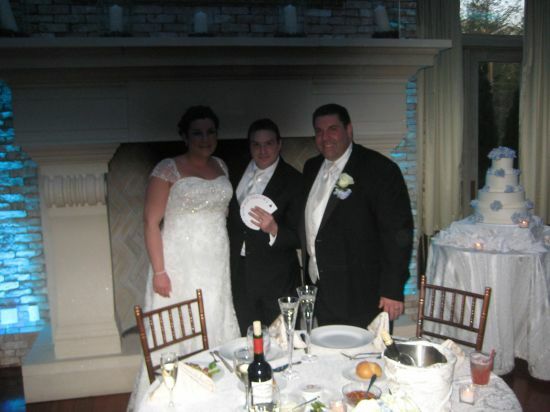 Have your guests raving about your wedding with sure-fire wedding entertainment by Chris Anthony. 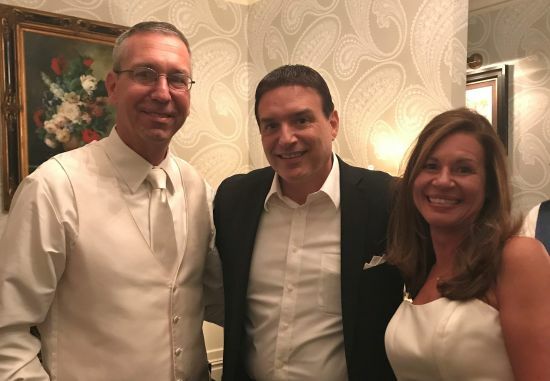 As a seasoned magician for hire, you can count on Chris to make sure there are no dull moments during your wedding day. Certain parts during the reception, such as the bride and groom's pictorial, leave majority of the guests doing nothing. 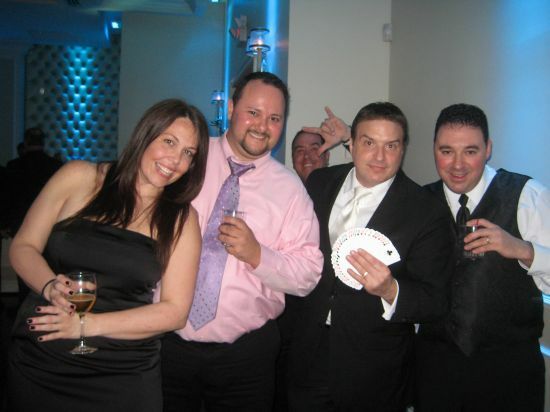 Using sophisticated magical effects, Chris will have your guests talking, toasting, and engaged throughout the event. With Chris's services, you can enjoy your big day better and do not have worry about your guests getting bored. You can also count on Chris for a unique wedding proposal. He will build a crowd on the street and pretend that he's only doing street magic. As you come over, he will have you participate in a customized magic show, which includes a ring and a ribbon. As the big, gold ring turns into an engagement ring, your partner will surely be left in awe while you pop the question. Magic is a great conversation starter, and is a fun way to bring people together. It's a great way to make your wedding stand out and be memorable. In fact, in a survey, 100% of the respondents said that they would have spent more of their budget on entertainment, if possible. In another survey, 78% of the brides said they would have made the entertainment their highest priority. Another poll says that 81% of guests say it's the entertainment that they remember the most.